Transporting things from place to place always comes with the question of what your best option for doing so actually is. What you’re moving, when it needs to get there, and what you’ve got available to do the job are all considerations in this scenario, but what if the answer didn’t have to be so complicated? 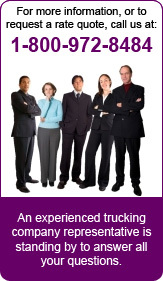 In truth, most of these problems can be solved through the use of a flatbed truck. Convenient, spacious, and adaptable, they’ll get you and your supplies where they need to be without a fuss. If you need some convincing, then just look at these three advantages of transporting with flatbed trucking. Flatbed trucks are good at what they do, being able to haul large amounts of stuff over long distances without complaint. When it comes to moving things over a short distance, there’s really no better option for things like construction vehicles or large amounts of material. Other types of trucks or cars just can’t bear the burden while other transportation options just aren’t efficient or available. In many cases, even driving things over a long distance can still save you time in the long run when factoring in the often inefficient train schedules for freight shipping or the difficulties of using a cargo plane. This is the most important when what you move is time sensitive, too. Not only is it quicker, but hiring a flatbed trucking service is almost always going to be a cheaper option even when factoring in gas costs. While you should always double check terms and pricing options, it usually factors out to be a better deal to have someone else haul the freight for you on a flatbed then doing it yourself. Not only that, if you use a reputable service you get the security of knowing your things actually get there in one piece. Until the time comes when we can just call up a freight train to take our things where we need them, cars are still the most convenient means of moving things. When we’re moving something big, that means our car will be replaced with a flatbed truck. It’s certainly a lot easier than trying to hitch up an excavator to your old pickup and hoping for the best. 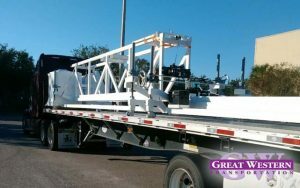 When it comes to transportation, flatbed trucks are your go to for large equipment when you want to save time, money, and have an overall more convenient experience.